CPAP therapy comes with its own lingo. This is the place to visit if you are wondering what "AHI" means, what "rainout" is, or what the difference is between a CPAP machine and an APAP machine. Please check the FAQ section below for an alphabetized listing of common sleep terms. Apnea Hypopnea Index is the number of apneas and hypopneas per hour. This index, as well as oxygen saturation levels (O2 Sat), is used to determine how severe a case of sleep apnea a patient has. To determine AHI add the total number of apnea events, plus hypopnea events and divide by the total number of minutes of actual sleep time, then multiply by 60. What is Ambient Tracking Technology? Ambient Tracking technology is a rainout reduction feature created by Fisher & Paykel. Ambient Tracking Technology monitors the ambient temperature and adjusts heat to maintain the most effective humidification, given the ambient conditions. The Ambient Tracking Technology uses an auto-adjusting heater plate to maximize humidity delivered while adjusting for room temperature. The level of humidity delivered is dependent on room temperature. Apnea is the cessation of airflow for 10 seconds or more. Apnea is Greek for "without breath." An Arousal is an abrupt change from a "deeper" stage of non-REM sleep to a "lighter" stage (Normally to stage 1). This is distinct from an awakening, which is an arousal that lasts for more than 15 seconds. Auto Altitude Adjustment is the CPAP machine's ability to compensate for changes in altitude automatically. The feature allows the patient to travel to different altitudes without having the pressure setting adjusted. Because atmospheric pressure changes with altitude, most machines need adjustment in order to provide the correct pressure at different altitudes. An awakening is an arousal that lasts for more than 15 seconds. This is a habit observed in a large number of people occasionally, and in a smaller number, habitually. The mechanism of causation is tension and spasm of the muscles used for mastication. The term also refers to clenching of the teeth, which causes similar problems. Often, it occurs during sleep; even a short nap may induce it. In a typical case, the canines and incisors are commonly moved against each other laterally, i.e. a side to side action, which erodes tooth enamel, removing the sharp biting surfaces and flattening the edges of the teeth. Sometimes, there is a tendency to grind the molars together, which can be loud enough to wake a sleeping partner. The cause, or causes, of bruxism remains unclear. Some dentists believe it is due to a lack of symmetry in the teeth; others, that it reflects anxiety, digestive disturbances or a disturbed sleep pattern. The effects of the condition may be quite advanced before sufferers are aware they brux. Eroded teeth may be brought to the sufferer's attention during a routine dental examination. If enough enamel is eroded, the softer dentine will be exposed, and erosion will accelerate. This opens the possibility of dental decay and tooth fracture, so early intervention by a dentist makes sense. In Central Sleep Apnea (CSA), a person stops breathing throughout the night, not due to a blocked air passage, but because the brain temporarily stops sending signals to the muscles that control breathing. BiPAP therapy can be used to assist persons with central sleep apnea. 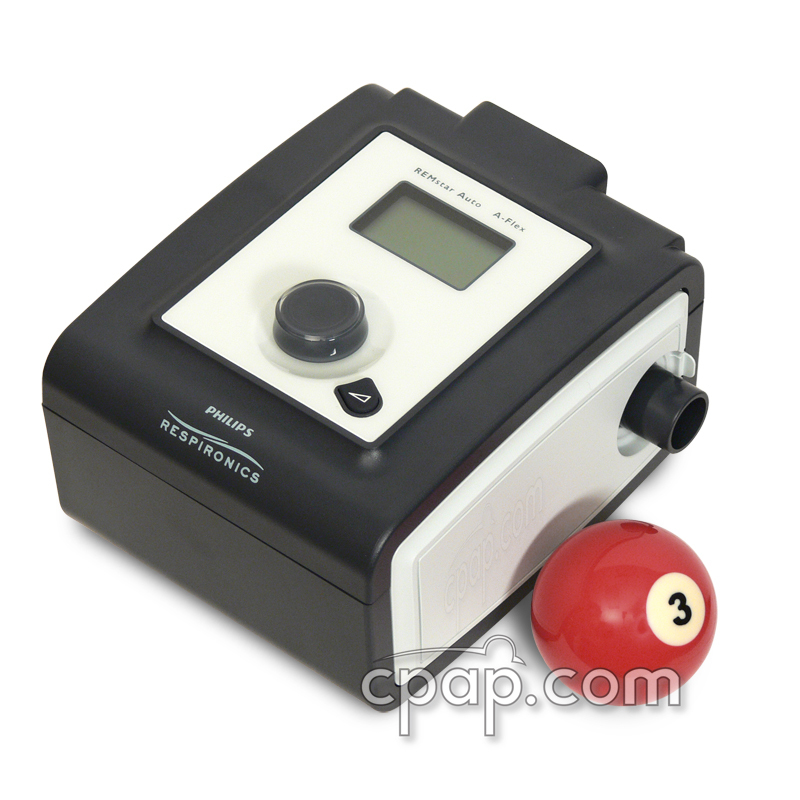 The BiPAP machine provides air pressure in an inhale/exhale pattern helping a person to breathe. What is Climate Control Technology? Climate Control technology is a rainout reduction feature created by RedMed. Air is delivered at the temperature requested while five sensors, including one close to the mask, monitor multiple conditions to provide optimal humidification to avoid condensation. The purest definition of DME is a provider who accepts payment in exchange for CPAP Equipment and Service. Traditional DMEs and Online Providers fall into this category. As referenced in cpaptalk.com culture, DME usually refers exclusively to traditional, local providers that accept insurance in exchange for CPAP Equipment and Services. Many who recount their experience with these local providers complain of poor service and high prices. Thus the use of "DME" or "evil DME" is prominent on the sleep apnea forum CPAPtalk.com. What is EPR with Easy-Breathe? EPR (Expiratory Pressure Relief) is a pressure relief feature developed by ResMed. EPR reduces pressure during exhalation in order to make breathing more comfortable. Easy-Breathe technology applies a smooth waveform that helps make breathing feel more natural. A hypopnea is a decrease in airflow by at least 50% for ten seconds or more, with a 3% desaturation of blood oxygen level. Manual Altitude Adjustment is a machine feature which allows the CPAP user to adjust the pressure of their CPAP as it is exposed to different altitudes. Atmospheric pressure changes make it difficult for CPAP machines to provide the correct pressure; therefore, requiring a manual adjustment. With this feature, the manual setting gives the user the opportunity to reset the pressure as needed due to atmospheric changes. Most machines will operate on altitudes up to approximately 8,000-9,000 feet. If you live in altitudes above this, you will need to increase your CPAP pressure setting. What is Mixed Sleep Apnea (MSA)? In Mixed Sleep Apnea, the patient has a combination of both Central Sleep Apnea and Obstructive Sleep Apnea. Treatment is usually a combination of medication and CPAP use. There are now some advances in technology with some recent BiPap or BiLevel machines on the market made specifically to treat the special needs of those afflicted with MSA. Apnea is Greek for "without breath." Obstructive Sleep Apnea (OSA) is a condition in which a person's muscles and tissues in the throat and air passage relax while sleeping. The tissues impede the flow of air into the lungs due to the blockage of the airway. This can occur many times per night in the sleep cycle, especially during the REM sleep stages. The scientific standard for an apneic event is when you stop breathing for at least 10 seconds. There must be an overall blood oxygen desaturation level of 3 to 4 percent along with certain potential changes in EEG frequencies and data. If a person has 5 or more of any type of event per hour of sleep, then they are clinically diagnosed with sleep apnea. Respiratory event-related arousals. Episodes that are not apneas or hypopneas, often related to loud snoring, that generally do not cause a decrease in oxygen saturation. Supine is a sleep position: Sleeping on back. Non-supine means to sleep in a position not on your back. What is System One Humidity Control? System One Humidity Control technology is a rainout reduction feature created by Philips Respironics. System One Humidity Control technology analyzes ambient room temperature, relative humidity, and air flow from the tube to the CPAP user. Then, it adjusts heat to deliver an optimal level of humidification that avoids rainout conditions. The heated tube maintains the humidification all the way from the machine to the mask. ThermoSmart technology is a rainout reduction feature created by Fisher & Paykel. ThermoSmart technology is a unique heated hose which maintains the warm environment for the airflow to prevent condensation. 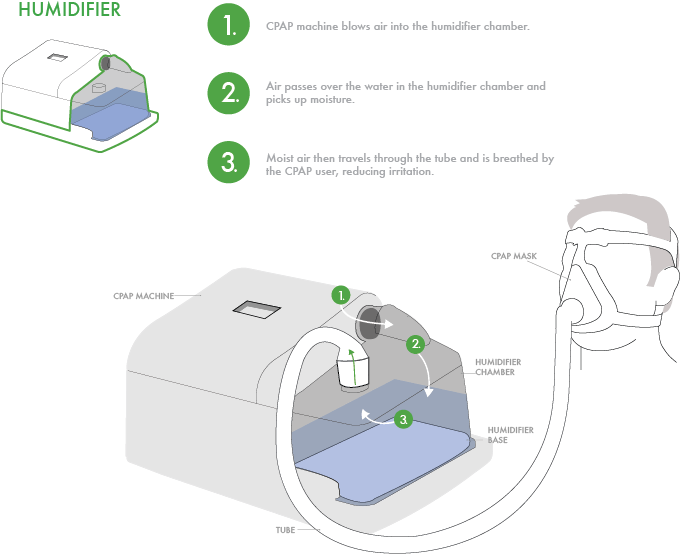 With conventional humidification, as air flows from the heated humidifier through the CPAP hose, the surrounding air cools the air inside the CPAP hose. As the air cools, it releases moisture in the tube and mask. The heated hose creates a continuous heated environment to help the air hold its moisture and be delivered effectively to the user. Total # of PLMs: The number of periodic leg movements in sleep that last greater than 0.5 seconds. Total arousal index: Total number of all arousals multiplied by the number of hours of sleep. TRT is the amount of time that is recorded during a Polysomnogram. This statistic can be used to compare how long it takes a patient to fall asleep, and Totals Sleep Time (TST). TST is the actual time a patient spends asleep during a Polysomnogram. This statistic can be used to determine sleep architecture. Spontaneous arousal index: The number of spontaneous arousals (e.g. arousals not related to respiratory events, limb movements, snoring, etc) multiplied by the number of hours of sleep. "CPAP" is an acronym, standing for the words "Continuous Positive Airway Pressure". 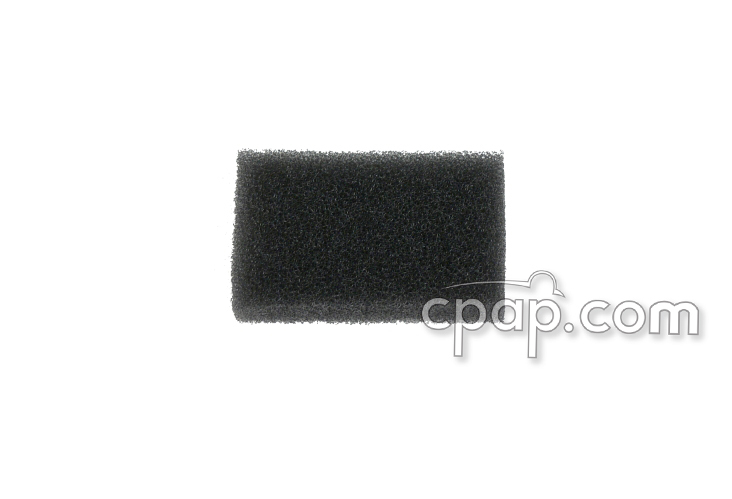 CPAPs work by gently pressurizing the outside air, and blowing it through a long tube, connecting to the nose or mouth using a CPAP mask. 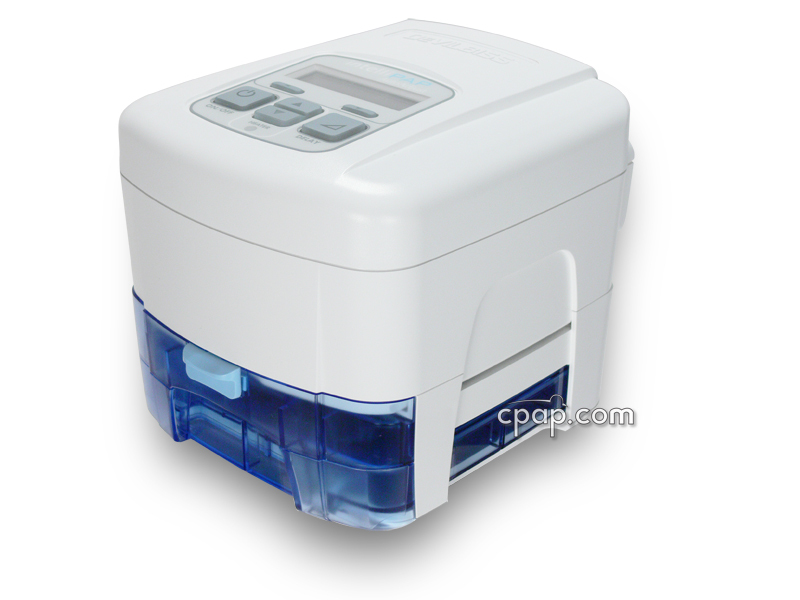 CPAP machines are the most common form of Sleep Apnea treatment available on the market today. What is Positive End Expiratory Pressure (PEEP)? Positive End Expiratory Pressure (PEEP) refers to a type of ventilation where airway pressure is maintained as one breathes out by using a mechanical device, such as a valve, within a circuit. Why would someone want to do this? The purpose is to increase the volume of gas in the lungs as the person breathes out, and is meant to improve the exchange of oxygen and carbon dioxide in the lungs. PEEP is not an alternative to CPAP and the two devices perform very different functions. Typically, PEEP is used by EMTs during emergencies and to help combat acute respiratory failure to allow reduction in the level of oxygen during respiration. Apnea in Greek, literally translates to "without breath." Oximeters can detect the oxygen saturation in your blood, so you can know how your therapy is going. Manometers test the pressure output of machines. This lets you know if you are getting the prescribed treatment. You can share and get information at the CPAPtalk.com Wiki.